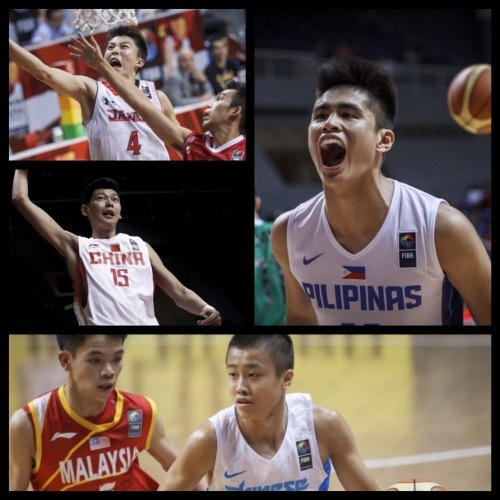 The fourth day of the 2015 FIBA Asia U16 Championship was filled with excitement as favorites China, Korea, the Philippines, Taiwan, and Japan came out with separate wins even as Lebanon just managed to scrape by Kuwait in second round action. Here are the complete results from the fourth day of competition! Hong Kong built a sizeable lead early in the game and never relinquished it en route to their first win of the tournament. 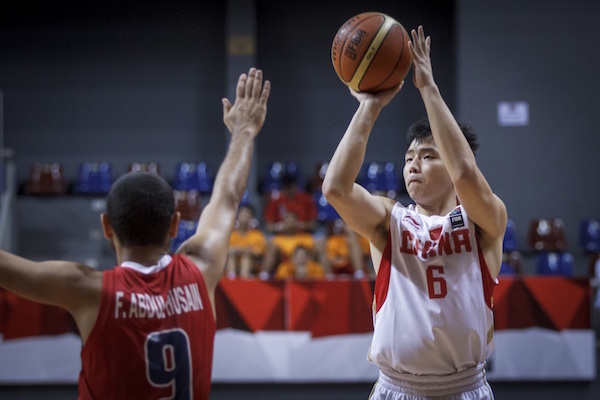 Tsan Wing Lau led the way with 8 points, 9 rebounds, 4 assists, and 5 steals, while Yiu Pong Yip had a nifty 15-point, 11-rebound double-double. Tanveer Prodhan paced the losing side with 26 points and 12 boards. Taiwan had a shaky start in this one, but they managed to put some separation in the second quarter and cruised to their fourth win in as many tries. Lin Ting-Chien led the victors with 29 points, 5 rebounds, 5 steals, 3 triples, and 3 assists, while Tang Wei-Chieh and Chen Yu-Wei put up 14 and 11 markers respectively. Malaysia dropped its third game of the competition, and they were just outclassed here. 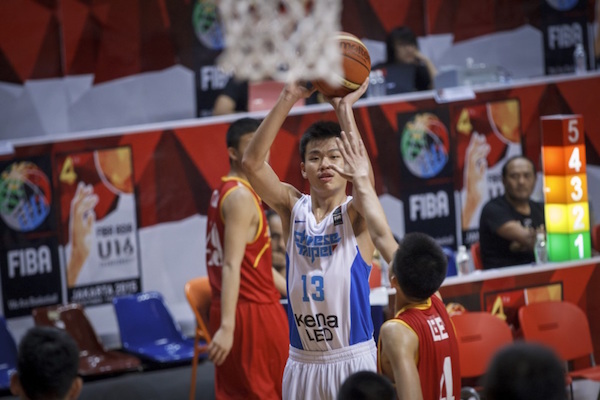 Joon Kang Lee and Kalven Lim led the way for the losing side with 16 and 19 points respectively. 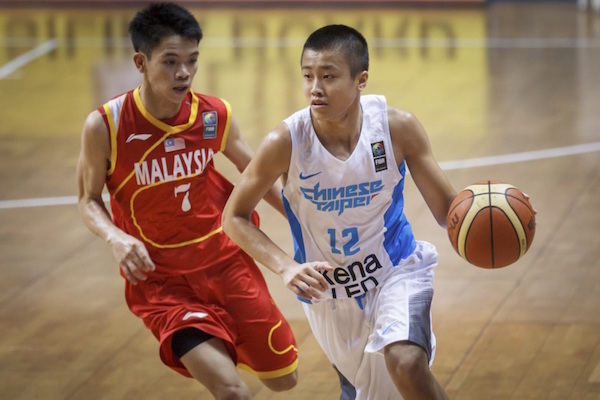 Chen Yu-Wei has proven to be a dynamic playmaker for Taiwan. Han Chieh-Yu pops the cap on a long range J.
Zhong Shin Thea challenges the tall trees of Taiwan in the paint. 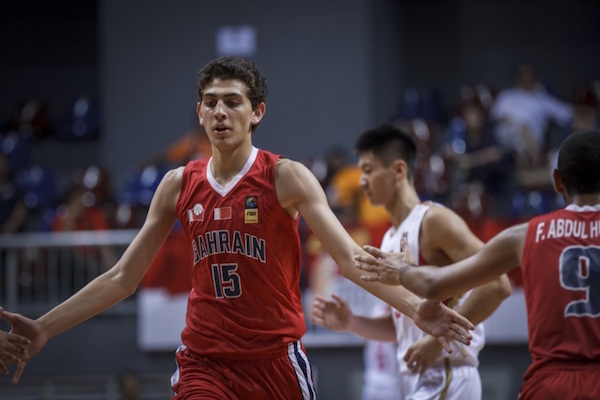 Mohamad Captan nailed the insurance free throws with less than a minute remaining to ensure that Lebanon would notch its third W of the competition against a very game Kuwaiti unit. Karim Zeinoun was all-around brilliant in this game with 24 points, 13 rebounds, 8 assists, 5 steals, and 3 blocks for Lebanon, which faces powerhouse Japan next. Salim Alaaeddine also impressed for the winners with a game-high 32 points on 9/18 FG shooting. Masaed Al-Outaibi, meanwhile, had 29 points and 8 boards in a losing cause for the Gulf nation. Believe it or not, Bahrain actually led after one quarter in this one, but the Chinese would have none of it as they turned on the jets in the latter three periods. 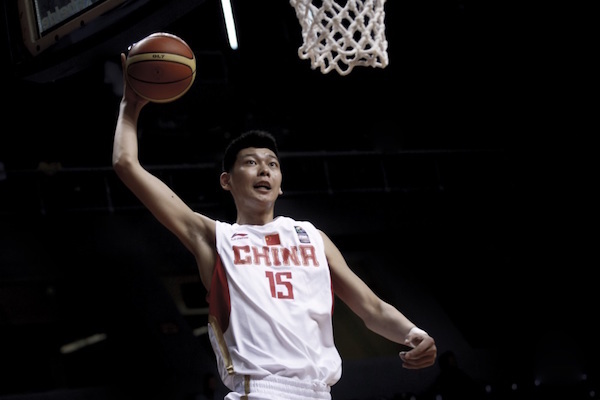 Zhu Rongzhen dominated again for Team Dragon with 17 points and 9 rebounds, while Wang Rui added 15 markers and 7 boards. Key wing players Huang Rongqi and Bai Haotian were limited here, combining to shoot just 4/11 from the field for a total of 11 points. Karim Aboukuora led the way for Bahrain with 15 points and 5 boards, but, against the taller and more skilled Chinese, that was just far from enough. Karim Abukuora carried the fight for Bahrain in the first canto. Wang Yibo flashes fine form in pulling up for this jumper. Zhu Rongzhen skies for the slam! 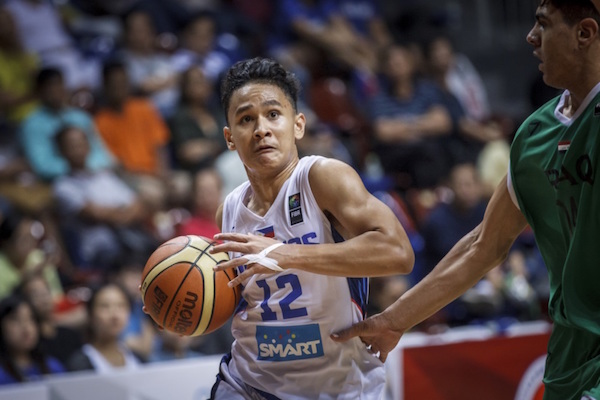 The Filipinos seemed to be well in control of this game after erecting an 18-point lead in the second half before Iraq staged a last ditch rally to make things interesting. 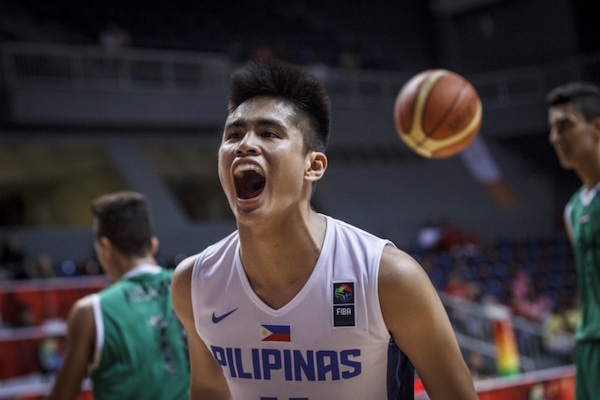 Key stops and free throw shooting, however, saved the unbeaten Pinoys from the upset axe. Undersized back-up big man Jason Credo was a revelation here, putting up 9 points, 7 rebounds, 4 steals, and 4 blocked shots. Gian Mamuyac led the Philippine sin scoring with 16 points, while Harvey Pagsanjan and SJ Belangel had 13 and 10 respectively. As expected Abdullah Abdullah was the top-scorer for the Iraqis with 26 points on 11/24 FG shooting. Hasan Al-Fahad tries to lose the stingy defense of Jethro Publico. Juan Gomez de Liano fearlessly attacks the Iraqi D.
SJ Belangel reacts after scoring a basket for Batang Gilas. Japan leaned on the early contributions of team captain Taiga Kagitomi to build a big deficit from which Indonesia would never recover. 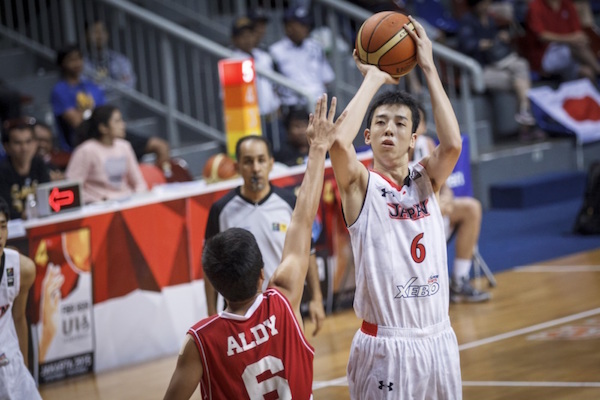 The Japs have slowly cemented their status as one of the strong podium contenders in this tournament, and this wins preserves their chances of topping Group E. Kagitomi had a total of a dozen points, 5 rebounds, and 2 dimes for Japan, while Seiya Takahara and Kazuki Miyamoto tallied 17 and 12 markers respectively. 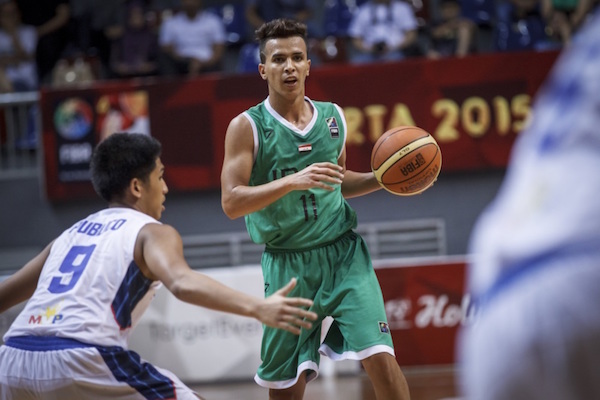 Indonesia was led by Yoel Agviandi’s 4 points and 10 rebounds. 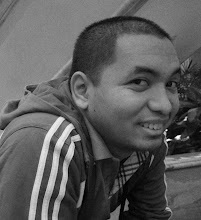 Muhamad Noor was the only Indon in double-digits, scoring 11 points on 4/12 FG shooting. 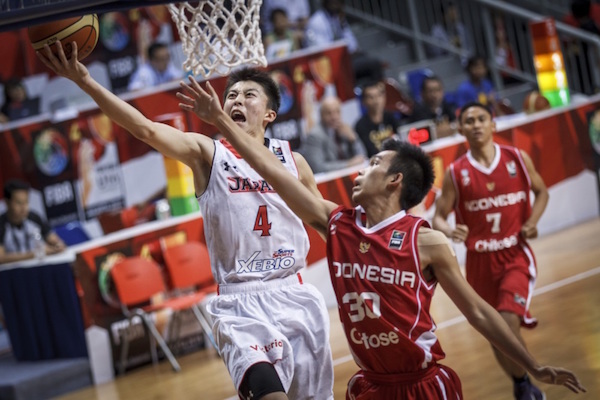 Kazuki Miyamoto rises for the jumper over Indonesia's perimeter defense. Seiya Takahara was a whirlwind for Japan in this game. 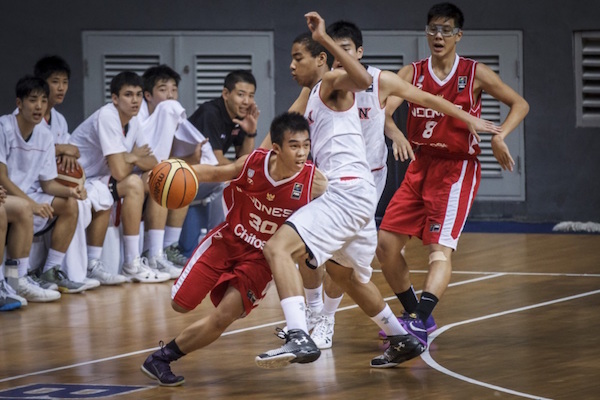 Indon PG Steven Ray tries to wiggle his way out of trouble. 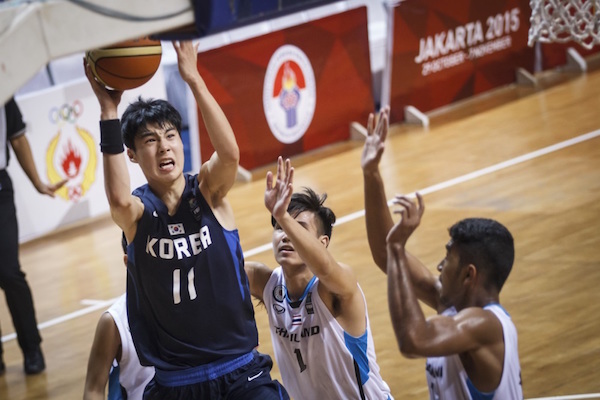 Thailand stayed within striking distance of Korea for three-fourths of the game, but the SEABA team could not really mount a serious endgame rally. The Koreans bounced back strong after their loss to China last night, and look forward to a competitive contest opposite the Philippines tomorrow. 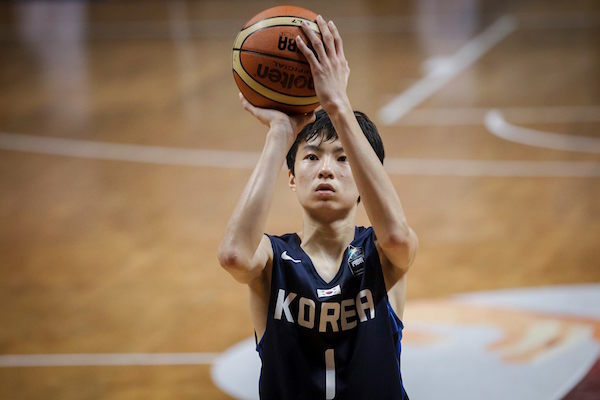 Lee Hyun-Jung led the Koreans with 20 points, 8 rebounds, 5 assists, and 4 steals, while Shin Min-Suk put up a 16-point, 10-rebound double-double. 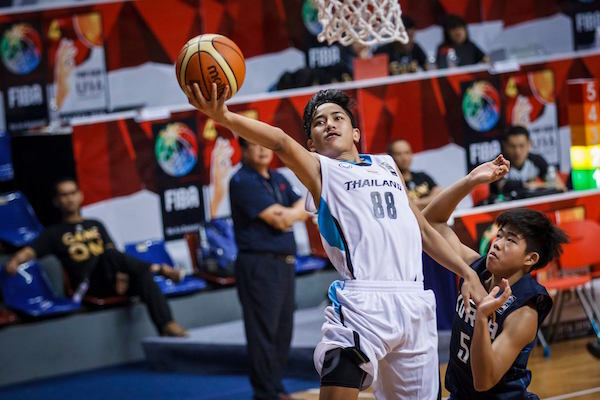 Only Natthaworn Banchathon scored in double-figures for the Thais with 17 points on 7/19 FG shooting. Lee Hyun-Jung's smooth stroke was on display against the Thais. Natthaworn Banchathon stretches for this transition lay-up. 6'6 Shin Min-Suk goes up strong for the inside stab.